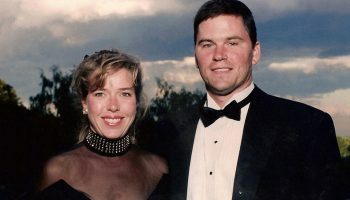 Colgate Love Story: Robert ’94 and Kelly Lehmann Johnson ’94. Click on photo for full story. 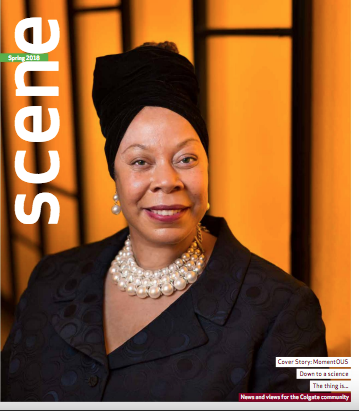 The Scene runs deceased notices on all alumni, current and former faculty members, honorary degree recipients, and staff members and others who the editors determine would be well known to alumni. Henry D Humphrey ’36, July 27, 2015. Delta Upsilon, lacrosse, marching band, wrestling. US Navy, WWII. Yale Medical School: MD. He worked for more than 40 years as an obstetrician and gynecologist; he delivered more than 5,000 babies. He was predeceased by his wife, Ellen. He is survived by 5 children, numerous grandchildren including Dan ’00, and great-grandchildren. Oliver R Toomey ’41, March 13, 2015. Phi Gamma Delta, Maroon, wrestling. US Army Air Corps, WWII. He began his career working at his father’s car dealership, and went on to serve as the executive director of the Wayne County Chamber of Commerce for 20 years. He is survived by his wife, Betsy, 2 daughters, 4 grandsons, and 6 great-grandchildren. Robert J McKeegan ’43, June 7, 2015. Phi Delta Theta, baseball, marching band. US Army, WWII. Albany Law School: JD, 1948. He was a lawyer and eventually became owner of his own practice before serving as Delaware County district attorney. He was predeceased by his wife, Barbara. He is survived by 6 children, 15 grandchildren, and 3 great-grandchildren. William P Munro ’43, May 26, 2015. Theta Chi, Konosioni, swimming, hockey, student government. US Army, WWII. He had a career in business, working for such organizations as Sylvania, CBS International, and Sylvan Ginsbury, Ltd. He was predeceased by his wife, Betty. He is survived by a daughter, 4 grandchildren, a niece, nephews, a brother-in-law, and a sister-in-law. the Office of Defense Coordination. Robert A Wacker Jr ’43, June 2, 2015. Maroon. US Army, WWII. Columbia School of Journalism: MA. He worked as a reporter for news outlets such as the Brooklyn Eagle, Riverhead News-Review, United Press International, and Newsday. He is survived by his wife, Veronica, 5 sons, and 5 grandchildren. Joseph K Corson ’44, May 10, 2015. Sigma Nu, soccer, indoor track. University of Pennsylvania School of Medicine: MD, 1946. He practiced dermatology for 50 years, and from time to time, was an associate clinical professor of dermatology at Jefferson Medical College. He was predeceased by his wife, Charlton, and 2 children. He is survived by a daughter, son Bill ’82, and 4 grandchildren. Robert M Files ’44, July 30, 2015. Alpha Tau Omega, football. US Navy, WWII. He worked in accounting and served as vice president at Joseph Froggatt & Co for a number of years. He later opened his own accounting practice. He was predeceased by his wife, Patricia. He is survived by 5 children and 6 grandchildren. Edward Gerber Jr ’45, April 28, 2015. Phi Delta Theta, golf, marching band. US Army Air Corps, WWII. New York Medical College: MD. After completing his residency in New York and Ohio, he opened a practice in Connecticut, where he worked for many years while also maintaining an affiliation with 2 nearby hospitals. He is survived by his wife, Lois, 2 children, Ed ’87 and Pam ’82, and 2 grandchildren. John W Merwarth ’45, August 9, 2015. Kappa Delta Rho, football, lacrosse, swimming. US Marine Corps. He retired from a career as a manufacturers’ representative. He is survived by his wife, Muriel, 2 daughters, and 5 grandchildren. Howell R Wood Jr ’45, February 13, 2015. Delta Kappa Epsilon, Outing Club, ski club. Army Air Corps, WWII. He had a career in banking, becoming the president of the National Savings Bank in Albany, NY, and later the Eliot Savings Bank in Boston, MA. He was predeceased by his father, Howell Roland Wood 1897, and his wife, Sally. He is survived by his brother, David Austin ’51, 3 daughters including Lindsay Wood Li ’76, 2 grandchildren, nieces, and nephews including Eben ’89. 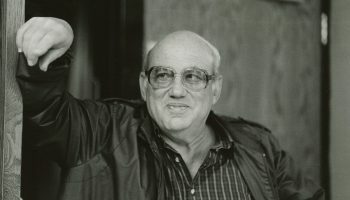 Donald G Cieri ’49, August 1, 2015. Phi Gamma Delta, football. He was the founder and owner of the Rome Insurance Company in Rome, NY. He is survived by his wife, Dolly, 3 children including Diane Mayers ’80, 4 grandchildren, and 4 great-grandchildren. Carroll M McLoughlin ’49, June 3, 2015. Delta Upsilon, Konosioni, football. US Navy, WWII. He had a successful career in the textile industry, retiring as the co-owner of Barrington Tarns Co, a textile yarn brokerage. He was predeceased by his wife, Elizabeth. He is survived by 2 children and 3 grandchildren. Thomas E Pearsall ’49, June 3, 2015. Phi Kappa Tau. US Navy, WWII. US Air Force. After retiring from a 20-year career with the Air Force, he had a successful career in the rhetoric department of the University of Minnesota. He retired as the head of the department with the designation of professor emeritus. He was predeceased by a son. He is survived by his wife, Annie, 2 children, and 7 grandchildren including Britt ’08. Philip W Moses ’50, June 5, 2015. Phi Delta Theta. US Army, Korean War. Over the years, he held a variety of roles in Maritz, Inc, rising from an account executive to a corporate vice president. He is survived by his wife, Patricia, 3 children, and 4 grandchildren. David S Hume ’51, June 29, 2015. Theta Chi, Colgate Thirteen. US Army. Harvard Business School: MBA, 1956. He had a variety of careers with IBM in both the national and international arenas until 1978 when he resigned and became a full-time beef cattle farmer. He is survived by his wife, Barbara, 3 children, grandchildren, and a great-grandson. Charles A Michelson ’51, July 25, 2015. Phi Kappa Tau, Konosioni, chorus. He worked for an insurance company and then the Chamber of Commerce. He also served as mayor of Lowville, NY. He was predeceased by his wife, Wanda. He is survived by a daughter, 2 grandchildren, and 5 great-grandchildren. Raymond P Scott Jr ’51, June 7, 2015. Sigma Nu, football. US Army. He had a long career in the automobile industry. He served a term as president of the Auto Trade Association of Philadelphia. He is survived by his wife, Mary, 2 sons, 10 grandchildren, and 2 great-grandchildren. Ralph M Williams ’51, June 12, 2015. US Army, WWII. He was a high school teacher at West Seneca High School (NY) for more than 30 years. He was predeceased by his first wife, Arlene. He is survived by his second wife, Lila, and 2 children. Howard I Freeman ’52, March 11, 2013. US Air Force. He enjoyed a successful career in research and development. He was the founder and president of Monofilaments, Inc, and the co-founder and co-owner of Creative Form Products. He is survived by his wife, Judith, 3 daughters, and 5 grandchildren. Arthur S Thompson Jr ’52, May 25, 2015. Sigma Chi, Konosioni, Maroon Key, basketball, baseball, student government; Alumni Corporation Board, Alumni Maroon Citation Award (1973). He had a long career with Fieldcrest Mills of New York, and retired as VP of sales. He was predeceased by his wife, Carol. He is survived by 4 children including Curt ’79, and 8 grandchildren. Dexter M Roberts ’53, June 13, 2015. Delta Upsilon, Konosioni, basketball. US Navy, Korean War. Stanford University: PhD, 1967. He was a professor at the University of Montana in Missoula and a dedicated environmental activist. He is survived by 3 children and 2 grandchildren. Melvin A Bailey ’54, November 21, 2014. Phi Delta Theta, Maroon, Salmagundi, WRCU-FM, ROTC, Maroon Key, basketball. He was a retired commander of the US Air Force Research Laboratory. He is survived by his wife, Donna, and 3 sons. Stephen Pierson ’54, July 7, 2015. Beta Theta Pi, Maroon, hockey, tennis, chorus. US Army, Korean War. Columbia Law School: JD, 1958. He started a private practice, Pierson Law Firm. He also served as town counsel of Darien, CT. He is survived by his wife, Nancy, 6 children, and 12 grandchildren. Donald C Dinsmore ’55, July 4, 2015. Kappa Delta Rho, Masque and Triangle, Salmagundi, WRCU-FM, swimming. US Air Force. He was a member of the New York Stock Exchange and a specialist with a financial firm. After retiring, he became the mayor of Harding Township, NJ. He is survived by his wife, Doris, 3 children, and a grandchild. George S McDermott ’55, June 6, 2015. Sigma Nu. Hartford Seminary: MA, 1962. He had a long career as a pastor, and for the last 23 years, he held a post as an adjunct professor at Quinsigamond Community College. He is survived by 2 children, a grandchild, and 2 great-grandchildren. John S Ryan ’55, February 1, 2013. Phi Kappa Psi. US Armed Forces. He was a sales manager for Century 21 Executive Realty. Peter J Kane ’56, October 5, 2013. Phi Kappa Tau, Washington, DC, Study Group, marching band, chorus. Albany Law School: LLB, 1959. Webster University: MPA, 1983. He was a senior judge in the Court of Military Review. He was predeceased by his wife, Georgiana. He his survived by his brother, Stratton ’60, a daughter, and a son. Robert B Busby ’57, July 21, 2015. Delta Kappa Epsilon, golf, swimming. US Army, Korean War. He worked for the Pawling Rubber Company for his entire career, first as a salesman, and then as executive vice president. He is survived by his wife, Valerie, 2 brothers including Alfred ’52, 5 children including Craig ’91, 11 grandchildren including Erin Daniels ’14, and a great-grandson. Lloyd K Chanin ’57, August 20, 2015. Phi Kappa Tau, Salmagundi, Konosioni, Outing Club, student government, indoor track, chorus, pep band, marching band; Alumni Corporation Board, Alumni Maroon Citation Award, Maroon Council. Cornell University: JD, 1960. He was an attorney with Lamb & Barnosky (Melville, NY). He is survived by his wife of 56 years, Lynne, a sister, 2 daughters including Allison Chanin-Bermudez ’89, and 4 grandchildren. Daniel H Underwood ’57, June 23, 2015. Delta Kappa Epsilon, golf, wrestling. He was a pharmaceutical sales representative who helped supply veterinarians. He is survived by his wife, Mary, and many nieces and nephews. Richard G Walker ’57, July 17, 2015. 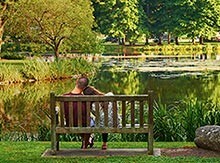 Beta Theta Pi, WRCU-FM, swimming, orchestra. John Marshall Law School: JD. 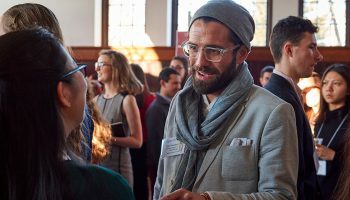 University of Chicago: MBA. He was a bank executive, and he served on the boards of many charitable organizations. He is survived by his wife, Betty Jo, 3 children including Jeff ’84, and 6 grandchildren. Peter H Hetzel ’58, June 22, 2015. Beta Theta Pi, lacrosse, swimming, soccer. US Army. After returning from Germany, where he was stationed with the Army, he worked for JC Penney for 37 years. He is survived by his wife, Sally, 4 children, and 7 grandchildren. Michael F Lawnin ’58, May 31, 2015. Phi Gamma Delta, track. He is survived by his wife, Barbara, 2 children, and 6 grandchildren. J Stephen Guyton ’59, July 4, 2015. Alpha Tau Omega, Maroon, Masque and Triangle, football. University of Michigan: MS, 1960. He is survived by his wife, Katherine, 2 daughters, grandchildren, and great-grandchildren. C William Burkhardt ’61, August 3, 2015. Delta Upsilon, football, lacrosse. He is survived by his wife, Shirley, and 4 sons including William ’89. Thomas A Keogh ’61, June 1, 2015. Phi Gamma Delta, Maroon, basketball. He spent his career working in investment. He began at Security Trust, moved to Sage Rutty, and then established his own firm, Hessler, Keogh and Millard Associates, Inc. He is survived by his wife, Kay, 2 children, and 8 grandchildren. Robert J O’Neill Jr ’61, June 7, 2015. Delta Kappa Epsilon. US Air National Guard. He owned and operated O’Neill Insurance Inc from 1963 to the time of his death. He is survived by his wife, Sue, 2 sisters, a son, 3 daughters, and several grandchildren. Charles W Ryan M’61, November 7, 2014. He was a lifelong teacher who began his career teaching history in New York and later became a professor at the University of Maine. Following that, he held a series of administrative positions at different universities and retired as the director of graduate programs at Wright State University. He is survived by his wife, Karen, 3 children, and 6 grandchildren. Daniel N Adams Jr ’62, June 30, 2015. Alpha Tau Omega, Konosioni, Colgate Thirteen, soccer. After a brief stint as a traveling folk singer, he joined the advertising industry. He worked for a couple of firms before starting his own branding firm, the Daniel Adams Company. He is survived by his wife, Suzanne, 5 children, and 4 grandchildren. Thomas N Hynes ’62, July 8, 2015. Delta Kappa Epsilon. US Army. He is survived by his wife, Judy, and a son. Richard A Rainka ’63, May 15, 2015. Phi Kappa Tau, baseball. US Army. Temple University Korn-berg School of Dentistry: DDS, 1967. He began his career as a captain at the US Army base Fort Leonard Wood, MO. He also worked as a dentist and as a real estate broker. He is survived by his wife, Mary Beth, 7 children, and 8 grandchildren. David W Jones ’64, June 28, 2015. Tau Kappa Epsilon, Salmagundi, cross country. Illinois Institute of Technology: MA. Roosevelt University: MFA. After serving in the Peace Corps, he worked in urban and environmental planning in private industry and at a series of government agencies. He retired as an assistant professor at Northeastern Illinois University. He is survived by his wife, Jayne, 2 sons, and 2 grandsons. Edwin C Mallory ’64, April 10, 2015. Kappa Delta Rho, Masque and Triangle, Outing Club. Stanford: MBA, 1966. After a brief career at the Hartford National Bank, he joined the family business, Mallory Industries, and eventually became president and CFO. He is survived by his wife, Nancy, 4 daughters, and 9 grandchildren. Robert G Neill Jr ’66, May 30, 2015. Alpha Delta Phi, Washington, DC, Study Group. UT Austin School of Law: JD, 1970. He served as the vice president in the trust department at El Paso National Bank. He is survived by his wife, Rosemary, and 2 children including Maggie ’02. Robert E Miller Jr ’67, MA’68, October 18, 2015. Alpha Delta Phi, WRCU-FM, swimming. He taught high school English in Goshen, NY, and in Roselle Park, NJ, before retiring. He is survived by his wife, Marcia, a daughter and son-in-law, his parents, and 2 sisters. Steven P Mark ’69, July 29, 2015. Delta Upsilon, football. University of California Los Angeles: MA. Brooklyn Law School: JD. He enjoyed a successful career in entertainment law while working for companies such as HBO and Nickelodeon. He later launched his own practice and worked as an author and historian. He is survived by his wife, Judy, 3 children, and 2 grandchildren. Paul A Danckwerth ’73, July 24, 2015. Lambda Chi Alpha. He worked in finance and consulting in DC. Joyce Kraft Hamreus M’74, July 17, 2015. She taught Spanish and art in Portland, OR, public schools for 30 years. She is survived by her husband, Calvin, 3 children, and 3 grandchildren. Bryan E Powers ’75, June 22, 2015. Phi Kappa Psi. Albany Law School of Union University: JD, 1978. He was an attorney. He is survived by his wife, Theresa. 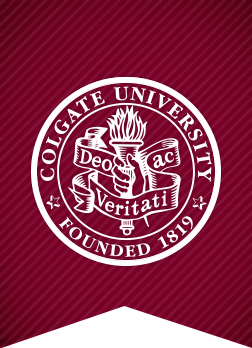 Gregory J Chase ’89, January 27, 2014. Colgate Thirteen, chorus. He trained at the NW Institute of Acupuncture and Oriental Medicine to become a doctor of acupuncture. He is survived by his wife, Mary, and his brother. Your column on Marc Black’s position on Hydraulic Fracturing implies that Colgate as an institution is opposed to this technology. Black’s column has a number of factual errors. I have several years’ professional experience in hydraulic fracturing and have observed none of the negatives he cites. Thanks to the technology the oil and gas industry has developed America is now energy independent.